In 2015 the ruling class of the Republic of South Africa promised to the Fees Must Fall movement that there would be no more rises in tuition fees. As we know now – they’ve simply lied. Since the very beginning of the rises they didn’t shy away from openly admitting why they’re doing this. Rising inflation, and a falling currency exposes how capitalism fails to sustain itself. And even though South Africa spends on its universities less than the African average, it is the campuses and students they want to squeeze money from. 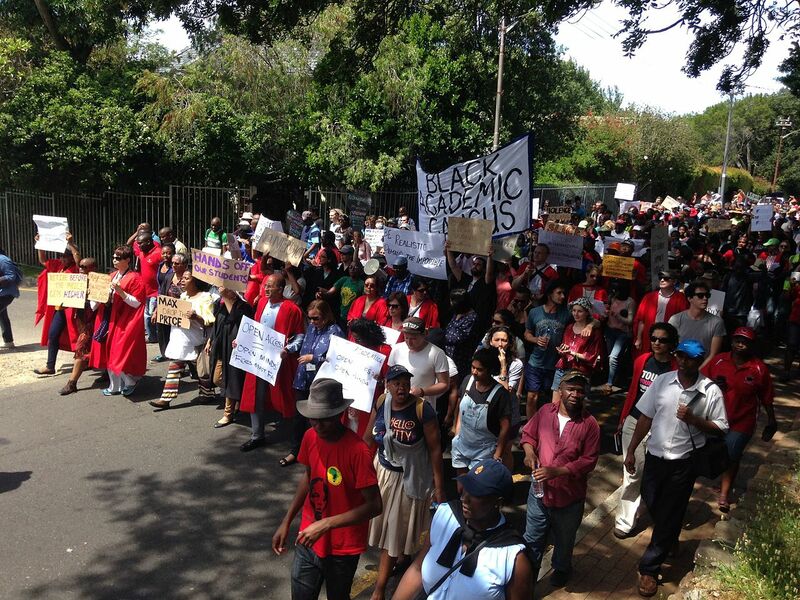 On 15th of August our comrades at University of KwaZulu-Natal and at Mangosuthu University of Technology stood against the fee rise and sparked a wave of protests around the whole country. Students took to the streets and were treated exactly like their parents by the Apartheid regime: rubber bullets, truncheons, arrests. Blood of the new generation was shed by the “freedom fighters” of the past. On 21st of October, comrade Benjamin Phehla of the Tshwane University of Technology lost his life in the protests. And while the youngest minds of the country are beaten, shot at and put into cells, the ruling African National Congress degenerates into factionalism and infighting between the bourgeoisie itself. Some of them got simply scared that they might lose too much. And rightfully so. While students and the workers are told to stay calm and satisfied, fat cats affiliated with the ANC run their profitable mines and banks. Every year they spend R60,000,000,000 (£364m) on bribes and “gifts” alone. People of the South Africa have nothing to lose but their chains. Students and workers of the world – Unite!